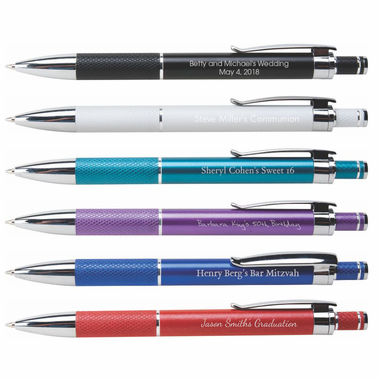 Elegant and stylish, these custom ballpoint pens have a great feel to them and ease of writing. 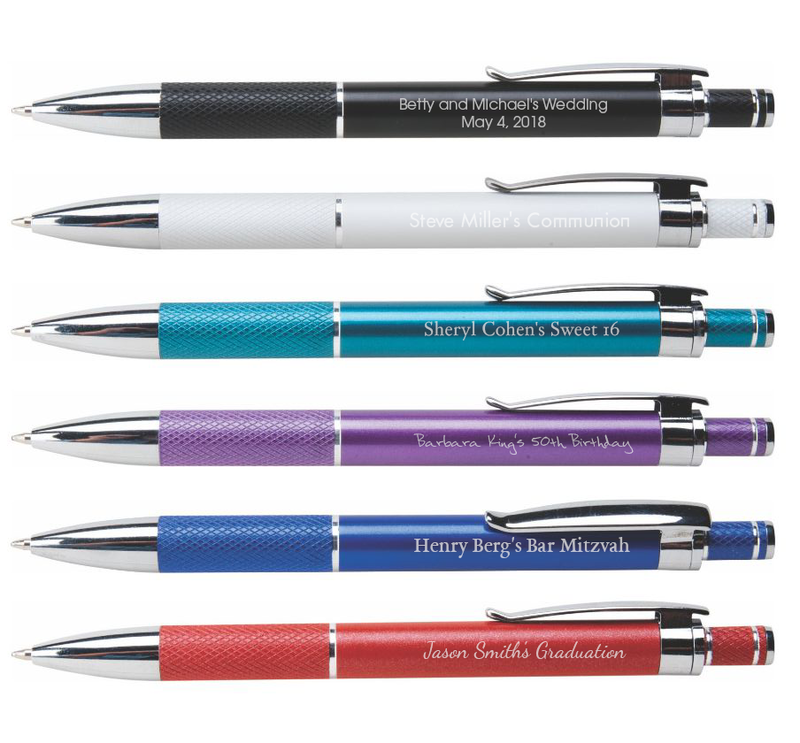 A textured grip, click-action, silver laser engraving and fun colors make this pen appealing to all. We would love to send you one so you can see what we mean. Just indicate the item number, color, and your shipping address in an email sent to: info@cool-party-favors.com. It can take 1-2 weeks, as the pens are sent via US Mail. The imprint area is 1-3/4" x 1/4" with allows for 2 lines of 32 characters for your custom message or logo. Each pen has black ink and is slipped into a cellophane pocket for protection.